Challenges of new Foreign Exchange Act to be taken up with Govt. 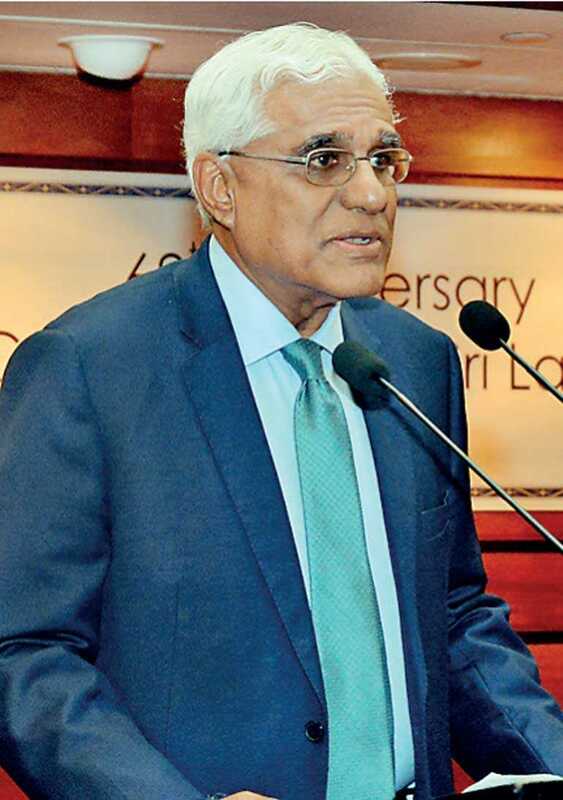 The Employees Provident Fund (EPF) will return to the stock market “fairly soon”, Central Bank Governor Dr. Indrajit Coomaraswamy said yesterday as the monetary authority has established sufficient safeguards to improve transparency and accountability in trading guidelines. Speaking at the oration held to mark the 68th anniversary of the Central Bank, Dr. Coomaraswamy recapped the activities and achievements of the institution and insisted much had been done to improve stability in the country’s financial system. The EPF withdrew from trading in the aftermath of investigations into the controversial bond trades in 2015 that sparked public outcry and the appointment of a Presidential Commission of Inquiry. However, the EPF has already returned to trading on the secondary market, the Governor noted. “There is a new auction system in place and it is working well. We have had greater transparency introduced through the Bloomberg platform and the auction rules and the processes that we will use, which have all contributed to a more transparent and effective system of public debt issuance. On the debt management side, the passage of the Active Liability Management Act has given the Treasury and the Central Bank greater flexibility in tackling the considerable overhang of public debt and we are confident that provided the country is able to manage its fiscal consolidation trajectory we should be able to manage the debt burden,” he said. Dr. Coomaraswamy also gave details of the new processes that were included to improve the transparency of trading systems, assuring that the new measures would increase the credibility of transactions. Recently the EPF started working on the secondary market, he noted. The Governor also touched on a stronger risk management framework, which focused on establishing oversight structures in place at three levels of defence to improve risk management. The Governor said the implementation challenges of the Foreign Exchange Act would be raised with the Government to obtain support to have them addressed. Moving on to Fintech and crypto currencies, the Central Bank was working to implement recommendations from two committees while maintaining space for innovation. Reuters: Shares extended losses on Tuesday to hit their lowest close in 17 months, as investors offloaded telecom and beverage stocks, while worries over new tax proposals dented sentiment. The Colombo stock index ended 0.56% lower at 6,010.23, its lowest close since 28 March 2017. It closed marginally higher last week after four straight weekly falls. The day's turnover was at Rs. 374.8 million ($ 2.34 million), less than half of this year's daily average of Rs. 815.5 million. Foreign investors sold a net Rs. 24.3 million of shares on Tuesday, extending the net foreign selling so far this year to Rs. 3.4 billion worth of shares. "The market came off with foreign selling in thin volumes," said Hussain Gani, deputy CEO, Softlogic Stockbrokers. Lacklustre corporate results and a Moody's report saying Sri Lanka could face significantly tighter external refinancing conditions in the next five years, have also dented investor appetite for riskier assets, analysts added. Shares in Dialog Axiata Plc ended 3% lower, while Ceylon Cold Stores Plc closed 3.2% down, and Ceylon Tobacco Company Plc ended down 1.9%. Conglomerate John Keells Holdings Plc ended 0.4% weaker, while the biggest listed lender Commercial Bank of Ceylon Plc closed 0.7% lower.